HomeTool reviewsIs PureVPN legitimate or is PureVPN a scam? PureVPN is one of the most famous VPN providers on the market and based on their website it seems as if people sign up to their services every single minute.They also claim to have one than one million customers. But is PureVPN legitimate? If you read PureVPN reviews on the Internet, and especially the comments following those reviews, you will see a whole lot of negative comments from angry customers claiming PureVPN to be a scam. They write about poor customer service and complain about how they did not get their promised refund and say that servers did not work and that they were not able to actually do what they hoped for as they signed up for PureVPN. The question therefore still stands, is PureVPN legit? I have therefore tested PureVPN for myself just to check this out and out of curiosity. My examination of their VPN services therefore consisted of the following tests. How did the sign up process work? I wanted to watch ITV in the UK using PureVPN. Did it work? I wanted to watch NBC in the USA using this service. Did it work? I wanted to test a torrent download to see if it worked. I wanted to ask for a refund within seven days to see if their refund policy worked. What did I find out? How did my tests go? Here are the results. It was easy to sign up, but as I paid with PayPal they have this security check or something that makes you have to wait for a little while before you get your username and password sent in an email. I guess I had to wait for about 1 hour for this to take place, but once the waiting time was over I had my username and password ready and could easily start. Downloading their VPN client was easy both in Windows and on Android (and it is easy also on iOS systems). To do so I had to connect to a UK server with PureVPN. It allowed me to connect easily and thus I could visit the ITV website and watch their streams online. I however lost connection several times, and thus I had to reconnect, and it was not always that I could actually reconnect. That was not at all an ideal performance. I later did more tests since I was not very satisfied with the results based on my first tests, and during my later tries I was able to connect easily to UK servers and get an IP in England, and thus I could also watch ITV online without any trouble using PureVPN. Watching NBC in the USA is quite the same task as watching ITV in the UK. The only difference is that the servers I connect to are located in a different country. Well, since I originally did those tests at the same time I had the same challenge watching NBC live as I kept disconnecting from their servers, and often I was not able to reconnect at all. As a consequence I did something else and some hours later I tried again to watch NBC online using their servers. I connected to the fastest US servers (again) and this time I could connect easily. I visited nbc.com and decided to try watching an episode of the Tonight Show with Jimmy Fallon. And just like with ITV things worked properly and I had no problems watching at all! Some people ask themselves if it is possible to use PureVPN for torrenting? To help them out I tried it. What I soon noticed is that you need to connect to a server for “file sharing” if you want to this to work. 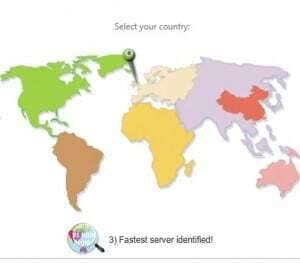 So, do not just connect to a server in any nation, but in the menu in the PureVPN program you need to chose file sharing and then afterwards choose a nation from the map inside the client. As you do so you will be able to use PureVPN for torrenting. The refund policy has been one of the most debated matters when it comes to PureVPN. That is probably why they recently changed it and upgraded it. Earlier they had a 500MB bandwidth limit and a maximum of 30 connections, but their new policy now says you are entitled for a refund if you complain within seven days and have used less than 100 connections and 3 GB of bandwidth. The number of connections is a bit tricky, because if you try to connect 50 times but you can not connect, you have still connected fifty times. I did my tests and then I went into the PureVPN control panel and cancelled my subscription and wrote that I asked for a full refund in the comment field. Quite quickly I got a confirmation email that my automatic payment setup with PayPal was cancelled, but that was it. Nothing happened! After a few days I decided to send them an email to ask what was up. I received one email telling me that they wanted to help me with my PureVPN experience and asked what the problem was. I said once more than I simply wanted my refund. They once more tried to help me with the problem and once again I asked for my refund, and then I got my full refund. If you have read my test you probably feel like you have an answer. Based on my experience I must admit that I had some dark moments with PureVPN as I was unable to connect to their servers and could not watch NBC or ITV online. Despite those problems I must admit that their services do work and you can use PureVPN for torrenting and you can use PureVPN for watching online streaming on TV channels in other nations. If you have problems my suggestion is that you have some patience, or ask for a refund and try some other provider. Calling PureVPN a scam is something I would call a big exaggeration. A scam is someone taking your money without giving you anything back. They pretend to be something that they are not. That can not be said about PureVPN. It might be that things are not working all the time and that they may have problems with their services, but their services still work and you can use it for multiple purposes. I got my refund back which is a big plus. I had to write some emails to actually get it, but I got it. What is a VPN connection? How does a VPN work? They are basically scammers. They give you IP address that have already been banned on many websites and when I asked for the advertised refund, they said that I exceeded the data and connection limit by including some numbers in an email that could have been (and most likely were) made up by them, since there is no way for me to verify the numbers on their website. They are total scammers. Stay far away from these guys. I do not entirely agree. 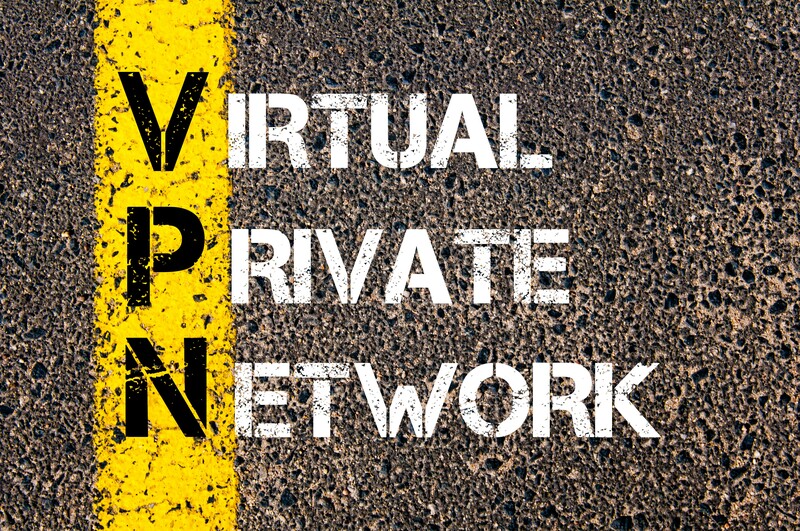 Most VPN providers today work with IP addresses that are banned by many websites. It is impossible to operate otherwise, and that is why most websites working with Netflix will still have 90% of their IP addresses banned by Netflix, with a small percentage actually working. That is the way the VPN world works at the moment. Concerning the refund I just know from my personal experience that I got my money back as I asked for a refund (and I know that I had used less than 3 GB of bandwidth). You are a —– liar and probably working for them….